Miss Muffet my oldest, is currently three years old, and though we are not planning to do any formal schooling with her for a couple more years, we have started doing a bit of "unschooling" this year based upon her interests. This winter, she became excited about geography, with specific interests in the globe, the continents, and the four cardinal directions. Today's post rounds up some of the resources she and I especially enjoyed as we explored this topic together. I searched our local library catalogs for basic books about geography, the seven continents, the four cardinal directions, maps, and globes, but I had a surprisingly hard time finding physical books that were basic enough for Miss Muffet's age. In the end, I turned to Hoopla, knowing that it typically has a good selection of basic nonfiction titles. I was pleased to find two ebooks there, both part of the Little World Geography series: Counting the Continents by Ellen K. Mitten and North, South, East, and West by Meg Greve. Both of these books are brightly illustrated with photographs of young kids, and the text is simple, but informative. Counting the Continents provided the names of the continents and highlighted where to find them on the globe. North, South, East, and West showed how to move in those directions on a map and helped Miss Muffet learn to associate up with North and down with South. 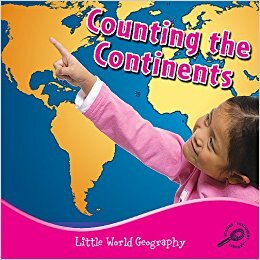 We read the books on my laptop several times over the three-week loan period, and she enjoyed pointing the correct way for each direction and trying to point out North America on a map. We own a globe, and Miss Muffet loves to look at it. She is comfortable spinning it around and turning it upside down, and she enjoys feeling the bumps of the mountains and pointing out the bodies of water that surround the continents. She also enjoys looking for the compass rose, and finding our state and the other states we visit when we go to see her grandparents. We used the globe to help us find each continent, and later, to find the specific homes of the elephants in Here Come the Elephants! 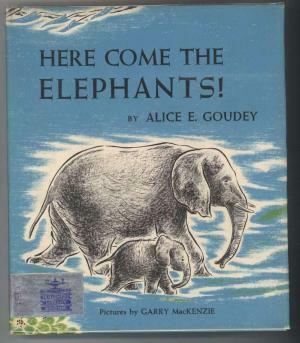 by Alice E. Goudey as well as the seals in Here Come the Seals! This was the first time I think she realized that some of the places she reads about in books are real, and she wanted me to show her the path the seals would have to take if they were to come to our house. She also had a lot of questions for me about why it is dark on the other side of the world when it is light at our house, and we wound up talking about the sun and time zones using a flashlight. I'm sure she didn't understand it all on this first go-round, but I could tell she appreciated having her questions taken seriously and answered to the best of my ability. 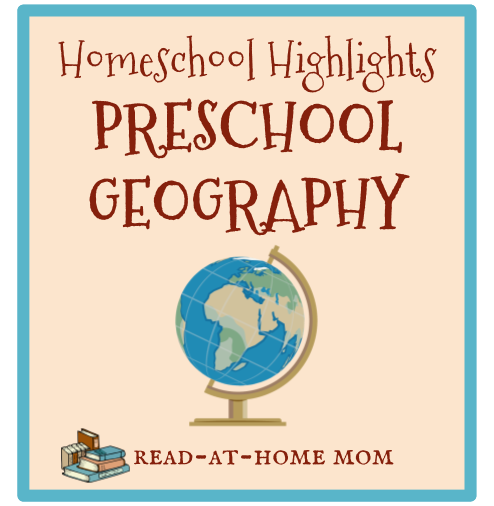 I wanted Miss Muffet to have something to hold and manipulate any time we were talking about the continents, so I searched through some blogs and found these Continent Cards from Mama's Learning Corner. Though Miss Muffet didn't quite make it to the point of memorizing which continent was which, she did enjoy stacking these up and carrying them around the house, and we did quite a bit of matching. I would find a continent on the globe or in one of the ebooks and she would search her stack for the corresponding card. She is a little young to really use these as flashcards, but she enjoyed having special homeschool cards that were just for her and not for her sister. Around the same time that we were really getting into "globe work" as Miss Muffet calls it, my mom sent us a couple of titles from the Travels with Charlie picture book series. They were Travelin' the Northeast, which covers our own state of Maryland as well as New York, where my family is, and New Jersey, where my husband is from, and Down South, which covers Virginia and North Carolina, which we regularly visit as well. The books include the state mottoes, flags, and flowers, and a map for each state that shows some of the interesting landmarks to be found there. The text accompanying each map rhymes, and it lists things the child reader must find on each page. 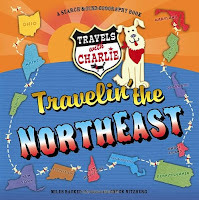 The last thing to find is always Charlie, the little white dog for whom the series is named. 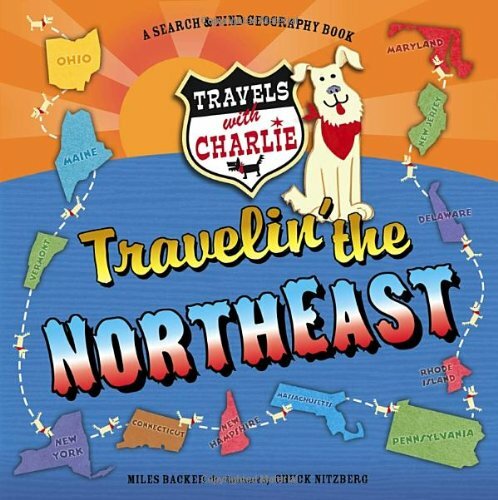 I have to give quite a bit of support to Miss Muffet, since she doesn't read, but she loves finding the landmarks and looking for Charlie, and she also enjoys keeping track of which states she has and has not visited. Miss Muffet likes to use Google Earth to make virtual visits to places she has been, and to places she wants to know more about. We have explored our neighborhood, her grandmother's neighborhood in North Carolina, the Sahara desert, and other landmarks as they have occurred to us. Miss Muffet tends to get frustrated if we don't find something interesting right away, but if I can plan ahead and take her on a five-minute virtual tour, she really enjoys it. 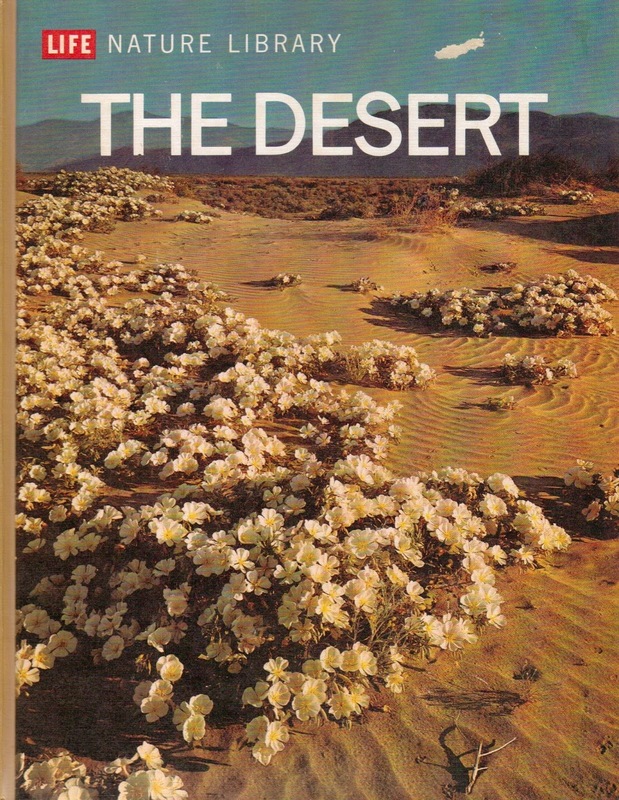 We also did a brief unit about the desert, using a few pages from The Desert from the Life Nature Library, as well as some supplemental YouTube videos. Miss Muffet is still talking about desert-dwelling animals such as the gila monster and kangaroo rat, and she enjoyed coloring a desert on white paper with tan, yellow, orange, and green crayons. 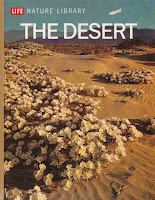 We also talked a little bit about living in the desert, as this had come up in a bedtime story she read with my husband from My Bookhouse. She learned what a nomad is, Though this video is not specifically for kids, I found it to be a good way to show a three-year-old how living in the desert is different from living in a city.